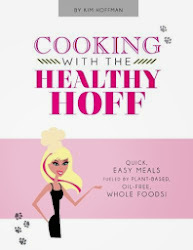 The Healthy Hoff: Me and My Vitamix! I have a long history with Vitamix. It all started the day my parent's got married. As a wedding present, one of my mother's bridesmaids got my mother her very first Vitamix! 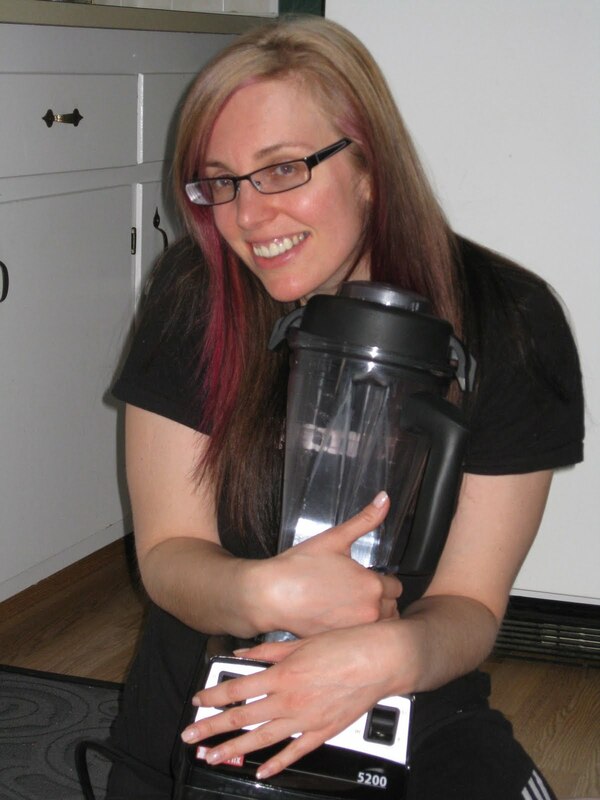 My mother never spoke to this woman again, but my father began his lifelong love affair with Vitamix. Growing up, my father would make these disgusting concoctions of anything and everything that he had found in the produce section of the local grocery store that week. He would blend and blend early in the morning (waking my angry mother) and drink his brew throughout the day. As a kid, I wanted nothing to do with this ritual or the stuff that resulted. Even as an adult, I would scuff at the notion of being offered one of his "healthy" drinks. "Yuck, I would say. What did you put in that thing, it's green, it's orange, never mind I don't want to know!" Then one day it hit me! Smoothies. Smoothies are good. I like smoothies. Smoothies would be a great way to get more fruit into my diet. "I shall make the smoothies and be healthier," I proclaimed! So, I bought a blender, then another and another. Finally, realizing the error of my ways, I thought back to my childhood. What was that machine, that ungodly loud machine, that my father coveted all those years and my mother cursed. Ah, yes! The Vitamix! But, its sooooo expensive - was it worth it? My father by nature was a very, very cheap man. If he found the value in the Vitamix to shell out that type of dough (for numerous models over the course of his lifetime), surely this machine was worth every penny. I bit the bullet and made my purchase. And the verdict? I began with fruit smoothies and quickly moved onto green smoothies. But what else could this beast do. Yes, my Vitamix is a beast, because he can pulverize anything (even berry seeds)! Yes, my Vitamix is a "he." Because he is mighty and strong like bull and not dainty at all. "He" can do anything. "He" really needs a name... Anyway, I was fascinated by the claims that this machine that makes my delightful, chilled smoothies could also make soup! Yes, in a mere six minutes, due to the friction of the blades courtesy of a two horsepower motor a Vitamix can produce steaming hot soup, that's ready to serve! I made pesto sauce, neon green pesto sauce, you know that’s fresh! I made hummus, I made sorbets, I made milkshakes and as you well know, I made rice milk! I even organized an entire dinner party around my Vitamix. But this is merely the beginning, as the Vitamix is capable of so much more - so much untapped potential. I am convinced that there is nothing my Vitamix can't do. "He" is simply the best. And when that faithful day arrives in which he has given all that he can, I shall not hesitate to purchase a Vitamix once again. OHhhhh I have to get one of those! Yes, you should get a commission from the manufacturer of Vitamix, because now I (who gets annoyed by small appliances) want one. You are going to love the ice cream, probably as much as your Vitamix! Let me know know it goes!